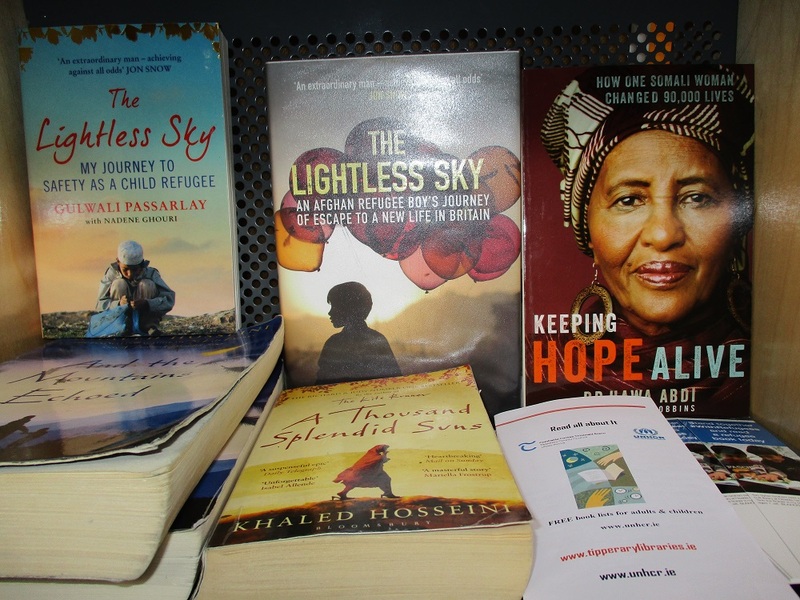 Clonmel Library celebrated World Refugee Day 2017 in association with UNHCR Ireland by promoting a selection of recommended reads for adults, teens and children. Pick up a copy of the booklist, Read All About It, in any library in Co Tipperary or click on this link to download a copy. We recommend a new title: Under the Almond Tree by Laura McVeigh. A poignant look at a family fleeing Kabul in the 1990`s told by 15 year old Samar. Stories of loss, suffering, survival, love and hope where you the reader, will have to draw your own conclusions at the end. Samar shows us the power of words, stories and imagination in the journey for survival.